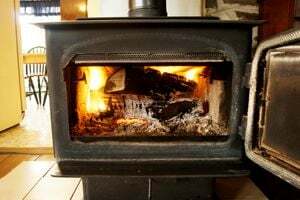 Where do you need Fireplace & Wood Stove Contractors? Comment: We'd like advice and guidance on how, and where, we might install a wood and/or pellet burning stove. Comment: Have a Heat-n-Glow unit where pilot is not staying lit when fireplace is in use. Comment: I would like to get an estimate for The pilot light will not light. Need a new screen. Comment: The pilot light will not light. Need a new screen. Comment: Gas fireplace blew out yesterday from wind. Usually, I can easily reignite, but this time the igniter seems to not be working. Comment: We live in 1894 Colonial home in Morristown. One of its 40â tall brick chimney is dropping debris into the fireplace. Thomas J. Biondi Jr. Plumbing & Heating Co.
Morristown Fireplace & Wood Stove Contractors are rated 4.74 out of 5 based on 4,148 reviews of 59 pros. Not Looking for Fireplace & Wood Stoves Contractors in Morristown, NJ?